Hey guys! 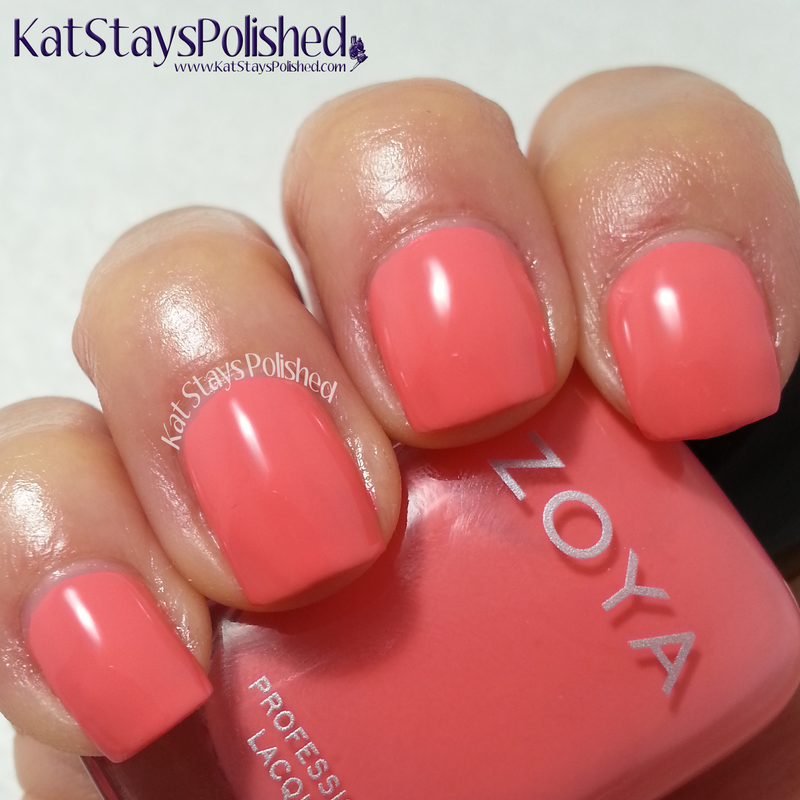 Today I have my swatches of the new Zoya Tickled collection. 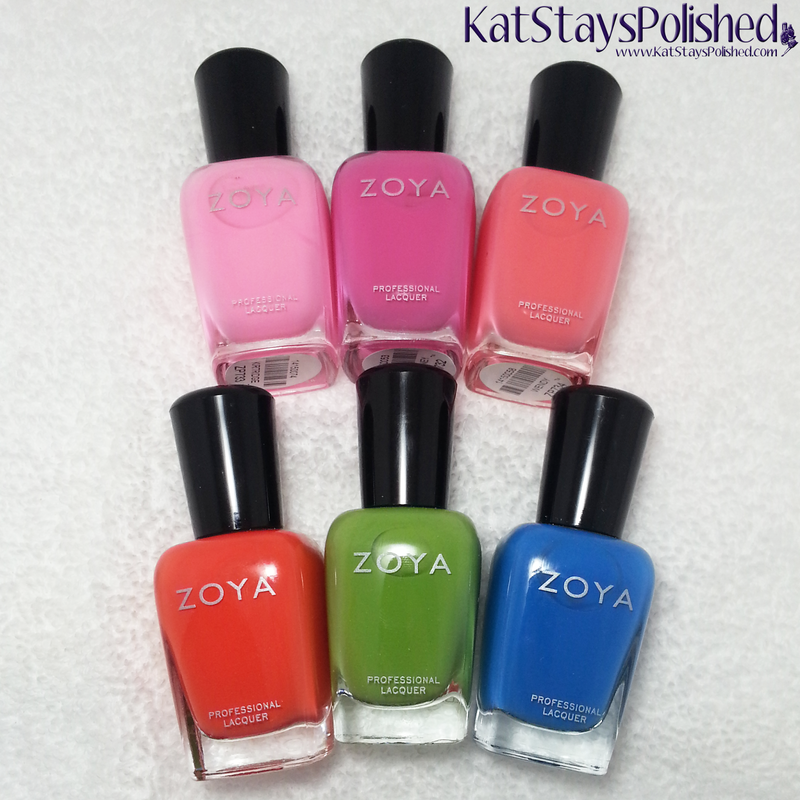 Zoya has delivered once again with their colorful cream polishes. I had no issues with any of them and they are ALL so gorgeous! All swatches are 2 coats and topped with HK Girl top coat. 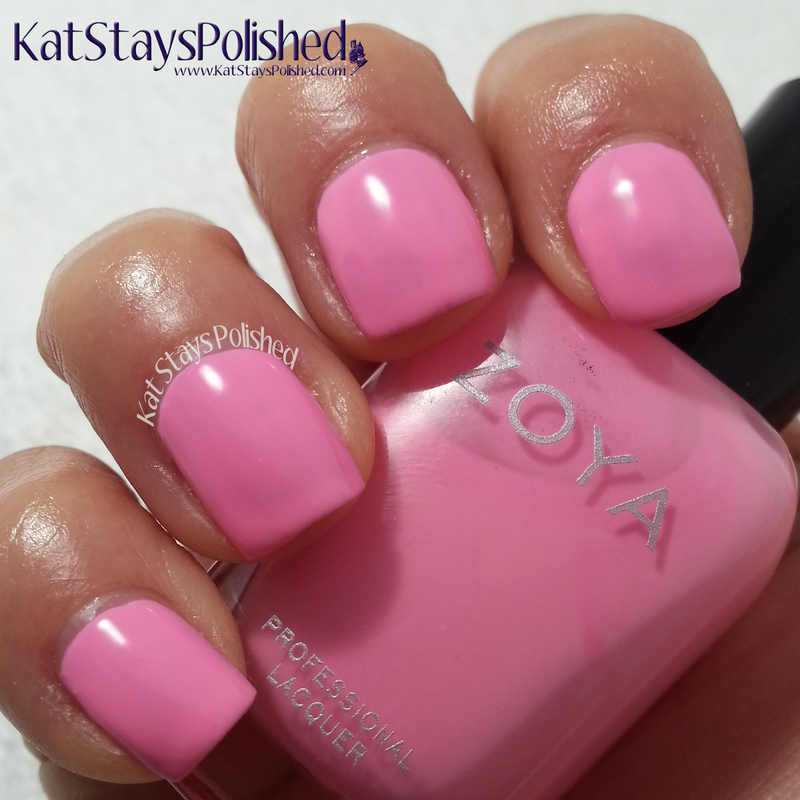 Kitridge is a bubblegum pink cream polish and is absolutely amazing! What else is there to say about it? 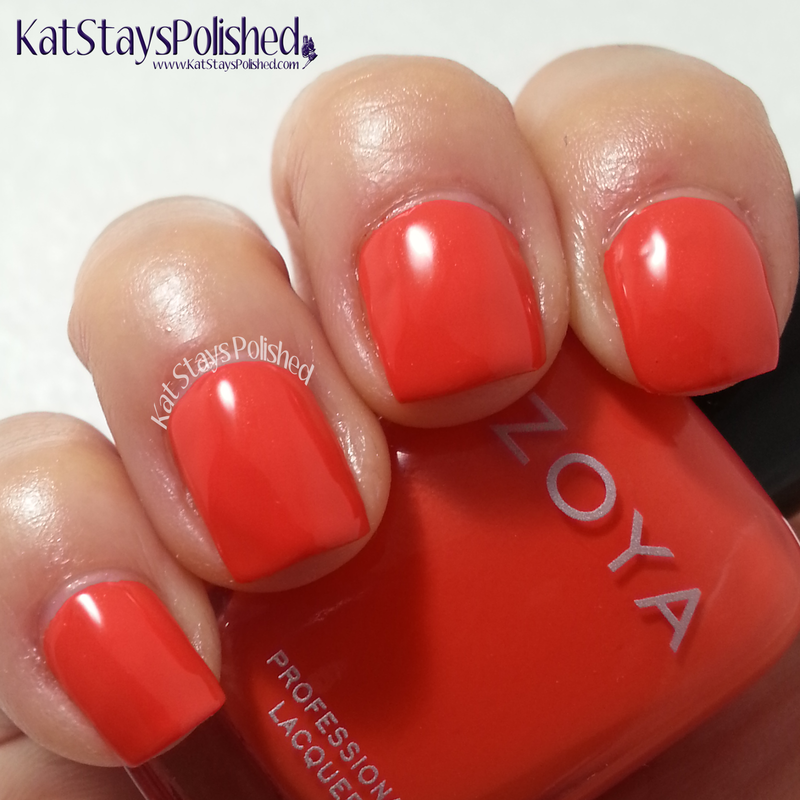 Application was flawless, as expected from Zoya creams lately. I am so impressed with this collection that I feel like if I go on anymore with the rest of the colors I'll sound like a broken record. Oh heck...keep listening! 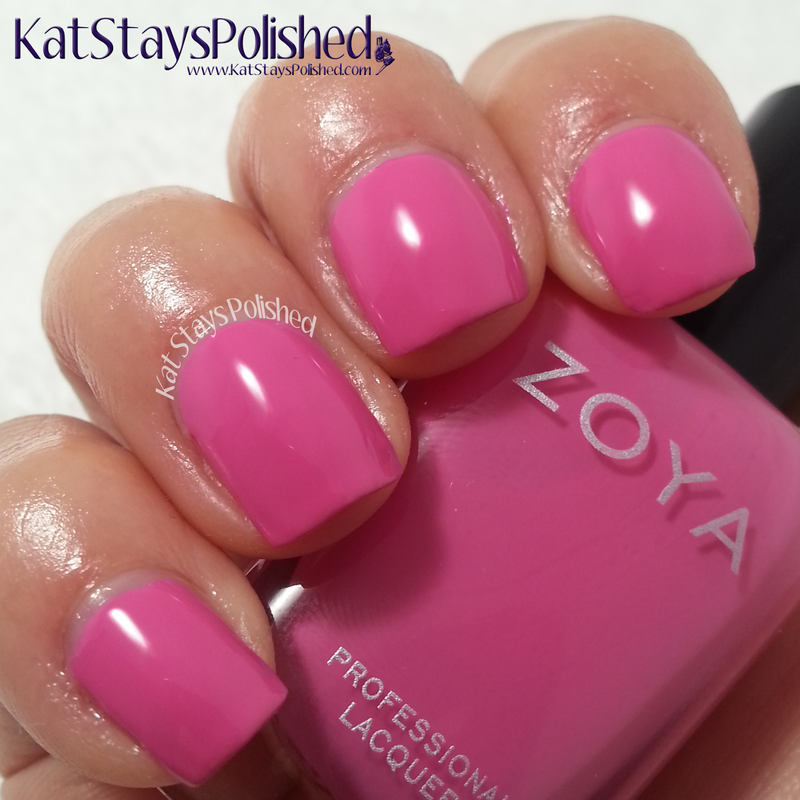 Rooney is a magenta cream polish that, again, applied in 2 coats flawlessly. The color payoff from this is stunning and I'd definitely rock this on a daily basis. Wendy is a creamy melon shade that actually has me wanting some melon! 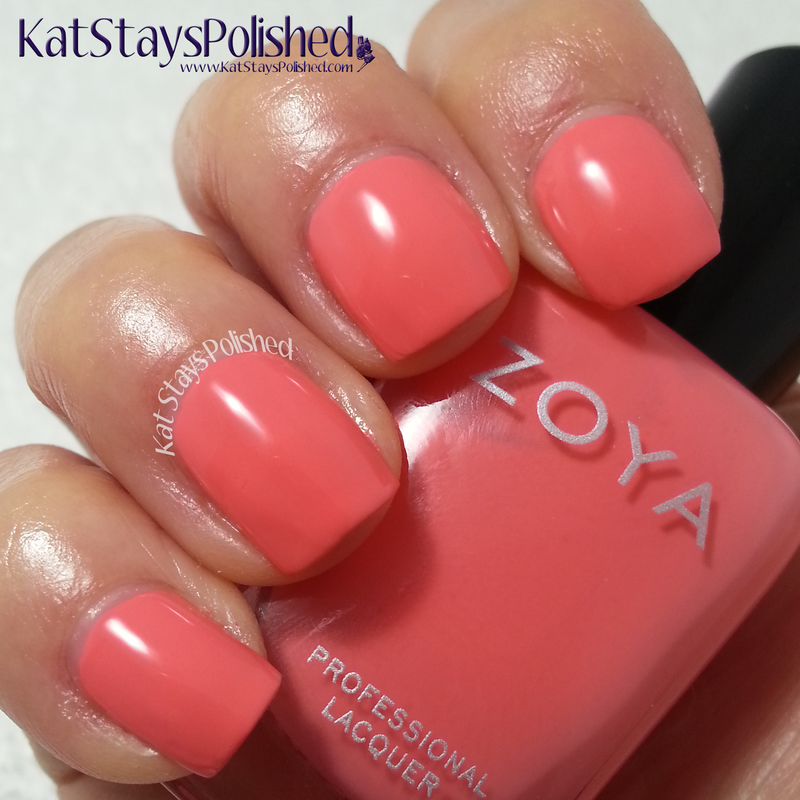 Or maybe a melon cocktail...hmmm.... Again, I love the formula of Zoya Creams because they go on with ease, aren't too thick or thin, and the color is exactly what you'd expect it to be. 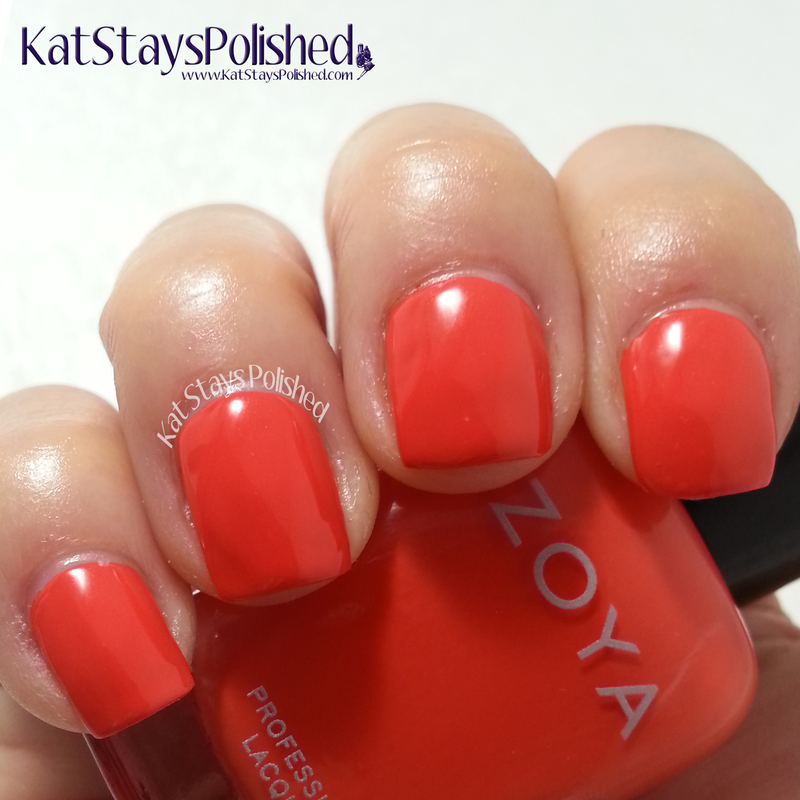 If you want to get into the deeper reds/oranges, then slap on Rocha. It is described as a folly red cream. I think that's the perfect description for this. I may bring this back in the fall when it starts to get towards Halloween and Thanksgiving. Tilda is described as a mantis green cream and...well, YES, that's exactly what it is. This color reminds me of grass. Or a green smoothie, haha. 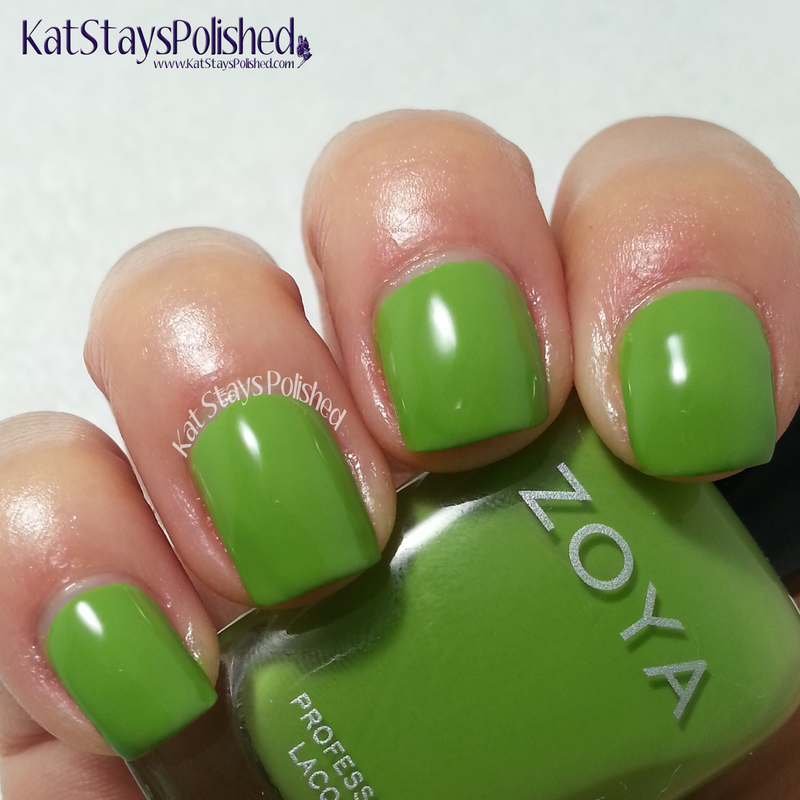 I'm pretty sure I don't have a green like this in my polish collection so I'm glad I have this one from Zoya. Last in the Tickled collection is Ling, a royal cream blue. 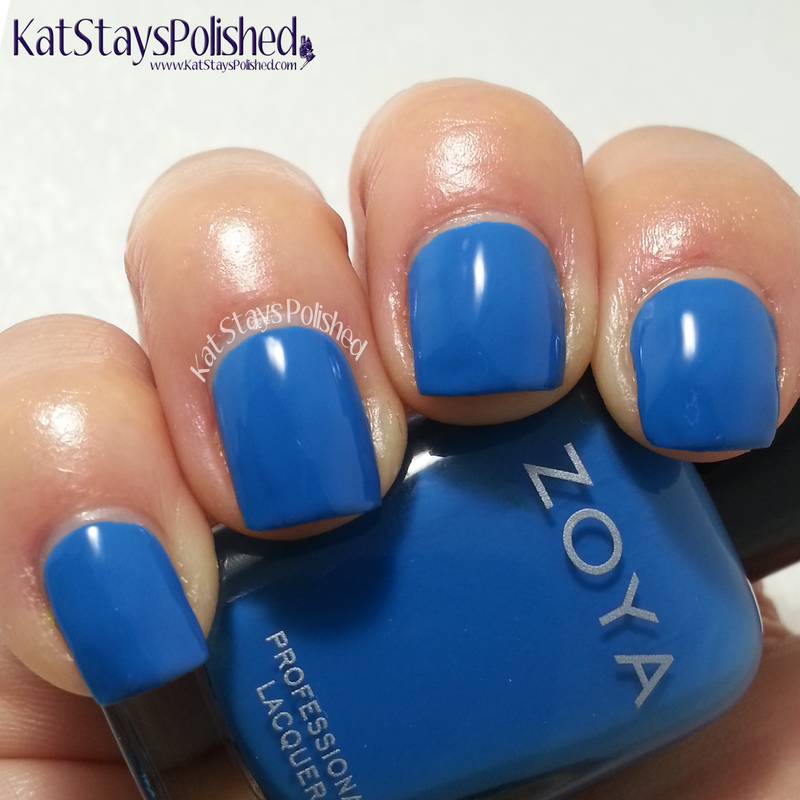 Even on the website it says it's flawlessly opaque in 2 coats. YUP! 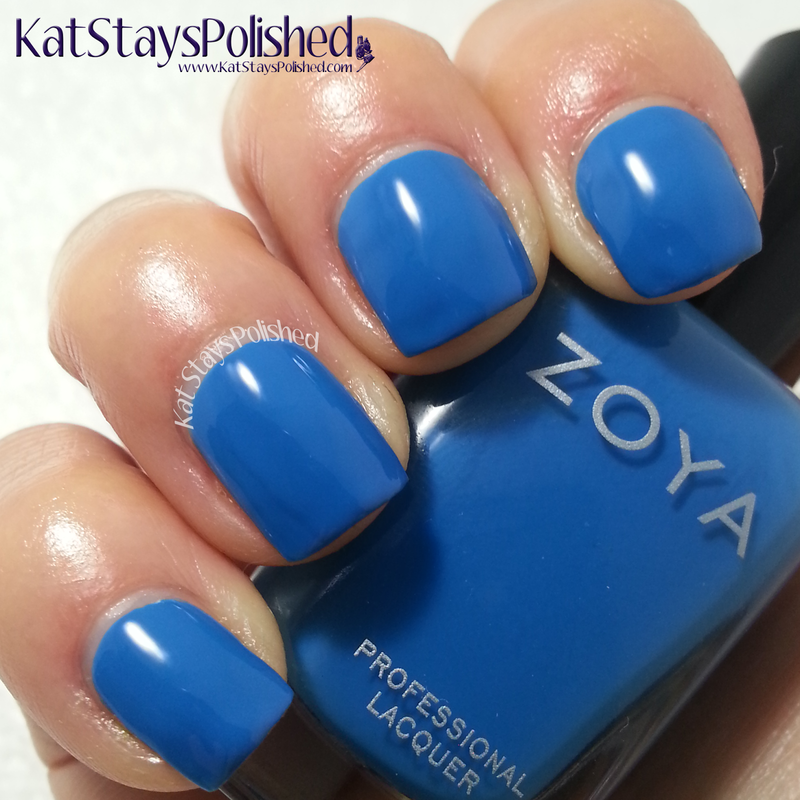 Zoya, you're right on point. If you don't already have this collection and you're contemplating whether or not you NEED this...you DO! You won't regret it. The formula is amazing and the colors are too! Stay tuned for the Bubble collection on my blog soon! Great swatches and review! I like this collection a lot.